918 Irving Rd, Homewood, AL.| MLS# 821823 | Richard Jacks UABLIVING.com 205-910-2297 | Birmingham AL Real Estate | Contact us to request more information about our Homes for Sale in the Birmingham AL area. 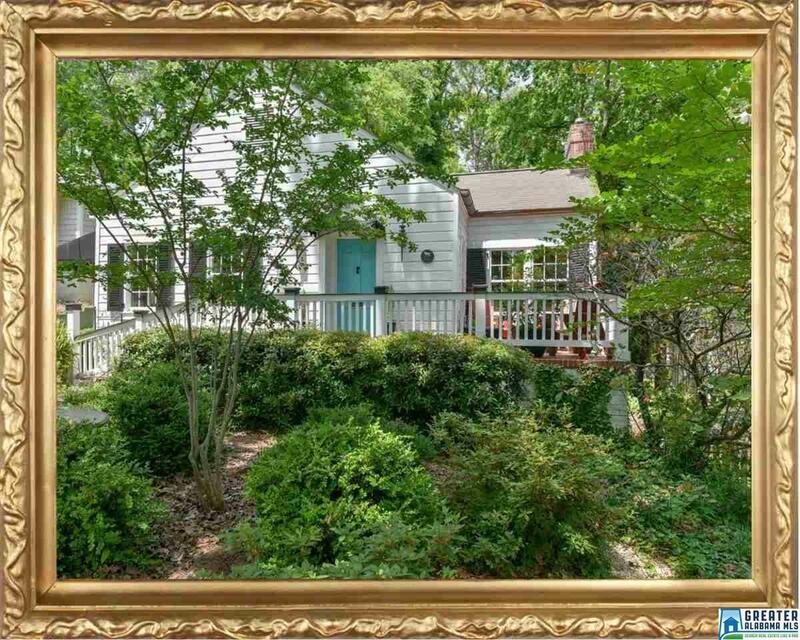 With charm of old and amenities of new, this beautiful home is sure to please all! 9&apos; ceilings, deep moldings, & hardwood floors are just a few of the nice architectural features. From foyer with hand stenciled walls & built in shelving, to the expansive living room with fireplace, built ins and a French door to a private covered porch. Large dining room and 2 oversized bedrooms which share a black/white tile bath w/double shower and marble bench. Master suite added in 2015 - vaulted ceiling, large walk-in closet, huge master bath w/separate shower & tub, double vanities and water closet. Stunning kitchen was completely renovated in late 2017- custom cabs, tile floor, SS appliances, quartz countertops and a spacious walk-in pantry; opens to a light-filled sunroom with floor-to-ceiling windows and a vaulted ceiling. Fabulous back yard perfect for entertaining! Large tiered decks - covered & uncovered, stacked rock walls and a newly landscaped grass area for kids/pets. Huge attic! Driving Directions: From Oxmoor Rd, Turn Onto St Charles St, L On Irving Rd, House On Right. Or Mecca Avenue, At The Top Of The Hill, Turn Right On Irving.